Bray Wyatt Of WWE Allegedly Dating Young Ring Announcer JoJo Offerman Post Divorce! Bray Wyatt is dating a ring announcer and Total Diva star Jo Jo Offerman since last year. He was married to his college sweetheart Samantha Rotunda in 2012. Wyatt and Rotunda together share two daughters, Cadyn Rotunda and Kendyl Rotunda. The pair ended their marriage of five years in March 2017. Rotunda filed divorced in June 2017. 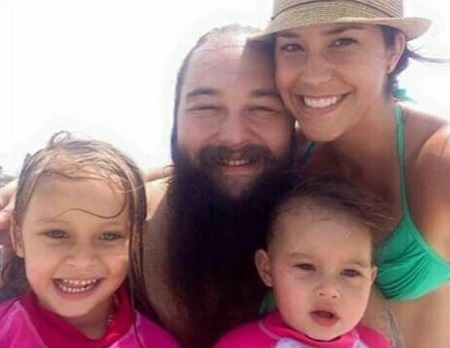 Windham Lawrence Rotunda, professionally known by the ring name Bray Wyatt, hit the headlines after his wife of five years, Samantha Rotunda filed for divorce last June claiming he is having extra-marital affair with Jo Jo Offerman. While the divorce is still in the process, Rotunda recently accused her estranged husband of spending thousands of dollars on his girlfriend's lavish expenditures and denying spousal and child support. We have all the details about the tumultuous divorce here! 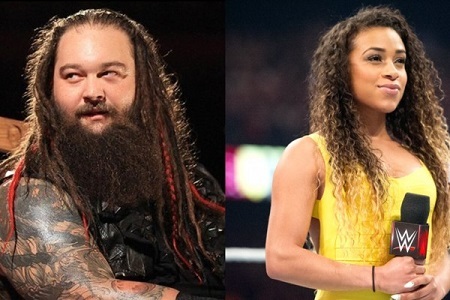 Former WWE Champion Bray Wyatt is reportedly dating the ring announcer and Total Diva star JoJo Offerman of Mexican and Dominican descent since last year and his ex-wife Samantha Rotunda is not liking the affair at all. Gossipmongers claimed that couple remained tight-lipped about their affair until the WWE star's former wife Rotunda filed a divorce in June 2017 in Florida claiming Wyatt of having extra-marital affair with Offerman. At the time, Rotunda's lawyer revealed that Wyatt had been in continuous contact with Offerman. Soon after the news, a picture of JoJo and Wyatt together arriving at for a WWE show was shared on Twitter, however, it has not made clear that when the snap was taken. If we believe some sources, the 30-year-old WWE star spends most of his time with Total Divas at her apartment near Miami. The couple has been successful to keep their relationship under the radar till date. Wyatt and Rotunda first met during their college days at Troy University. The pair eventually fell in love and tied the knot in 2012. Wyatt and Rotunda together share two daughters, Cadyn Rotunda, and Kendyl Rotunda. Everything went downhill when the pair ended their marriage of five years in March 2017 after Wyatt allegedly cheated on Rotunda with the ring announcer. Rotunda filed for divorce in June 2017 accusing Wyatt of 'adultery and misdeeds' and also demanded spousal support, child support, alimony and a custody of their children for a majority of the time. Wyatt also accused his former wife of sharing fake news on social media "in an effort to damage the husband's business ventures in the entertainment industry." The wrestler also claimed that Rotunda made "defamatory statements about the husband to several people in the community in an effort to ruin his reputation." While the divorce is still in the process, Wyatt's estranged wife accused the wrestling 'villain' of spending $11,000 on luxurious expenses and gifts to his girlfriend instead of spousal support. As per legal document, the wrestler agreed to pay $14,735 monthly and a one-off payment of $50,000 to cover legal expenses to his former wife for maintenance and child support, however, reportedly, he has been paying only $6,000 monthly. Reportedly, from December 20, 2017, to January 4, 2018, he spent over $11,000 on lavish shopping to his girlfriend including $5,006.27 on 'miniature horses, supplies and feed', $533.93 on jewelry, $112.79 at a Miami bar, and $171.20 on women's swimwear. Wyatt and Rotunda have been into mediation at present and the court is yet to announce the final result. 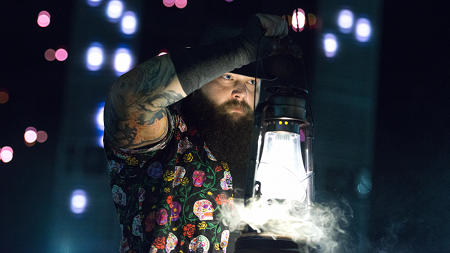 Bray Wyatt was born Windham Lawrence Rotunda on May 23, 1987, in Brooksville, Florida, the United States to professional wrestler Mike Rotunda. His nationality is American and as per ethnicity, he is White. His younger brother, Bo Dallas and uncles Barry and Kendall Windham are also a professional wrestler. His height is 6.2 ft ( 1.91m). He attended Hernando High School and Troy University. Wyatt started his professional career in 2009 with a debut at Florida Championship Wrestling (FCW). He received FCW Florida Tag Team Championship twice, and 2017 WWE Championship. He competed against Bobby Roode, Seth Rollins, David Otunga, and others. He has an estimated net worth of $850 thousand.